This exquisite Modern Mediterranean home sits proudly in the Upper Canyon of Silverleaf and is uniquely designed to capture endless city views and surrounding mountains. 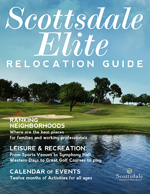 Architect Dale Gardon and American First Builders is creating one of the most spectacular homes built in Silverleaf. Amenities include 5-6 beds, 7 car garage, estate pool/spa, outdoor cabana, interior basketball/sport court, indoor/outdoor kitchens, theater, family entertainment rooms, multiple sliding door systems, large master suite and separate guest house. The hardwoods, stone, and finishes compliment the warm modern interior and exterior. Uniquely designed with timeless architecture, this home has been tailored to compliment a lifestyle that demands security, quality, value and comfort. Completion date Spring 2019.